Hello AMD Helios 500 owners. I am unsure of the state of Wattman on this laptop, but if you are currently unable to access it in Radeon Settings, you might like to try what worked for me on the GL702ZC (Ryzen 1700/RX 580). Yup, that's the method I use. It's disabled by default but unlocking via afterburner enables it, though I just use afterburner to set the clocks. I then have profiles in Wattman to lock p-state in games to get max clocks. Could you peeps tell me what version of Agesa the bios is running? I currently got a GX531GS (slim thin asus laptop), only got it cause price was pretty low in decemeber but I have ran into an issue and the only replacement I'm considering is this laptop, I'd probably sell the 256gb nvme it comes with and either grab a 512 or 1tb. I've been hearing great things about the tempeatures and it'll fit the needs of mine, the machine will mostly be for running unreal engine 4 and working on projects in UE4 while not at home. Downloaded CPU-Z and HWINFO both of which should be able to display the AGESA version however I'm not capable to find anything about it. Any other way to find it without rebooting? It have a very impressive cooling system for sure. Should make a nice workstation as long as you remember it's a big heavy machine. If you go to hwinfo and under motherboard, it doesn't show it under the bios section in the printout? I might try to see if I can read the bios file and see what version it currently has. I'm sorry but I simply can't find anything anywhere that seems related to the AGESA version. 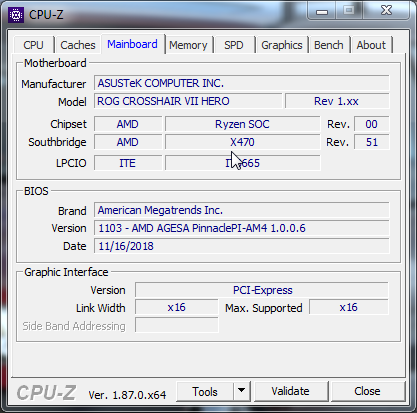 Insyde BIOS version 1.07 is essentially all information in both HWINFO and CPU-Z. Edit: rebooted and checked the BIOS setup - nothing.